Expect a serious bout of déjà vu as the Apple Watch returns to our news feed, but this time it's the sequel. Yep, that's right, the rumour mill is already churning for Apple Watch 2, with new reports claiming that it will land in 2016 with the same display tech as its predecessor. 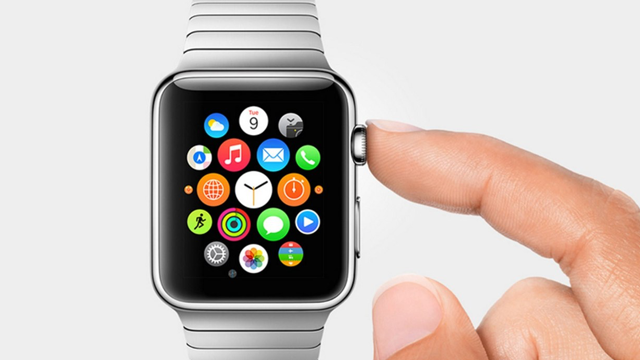 The Apple Watch only launched seven weeks ago, but people are already speculating on its successor. And lucky for them, we've heard a few things that will certainly be of interest. According to MK News (via GForGames), the Apple Watch 2 will be released in 2016 – which isn't particularly surprising since the original only launched on April 24, but nevertheless, there you go. The report, citing unnamed insider sources, also claims that Apple will retain its working relationship with LG as its sole display manufacturer. Apparently LG will fit the Apple Watch 2 with the same P-OLED screens as it did with the original. Apple usually likes to line up deals with multiple suppliers to prevent manufacturing issues, but it appears satisfied with the Korean company. It holds a strong position in display manufacturing, currently producing displays for 68 per cent of the world's smartwatch offerings. Reports suggest the manufacturer is trying to put its P-OLED tech — which is more flexible and bendier than standard OLED — in as many gadgets as possible, includingsuper-thin TVsand a curved smartphone. It's currently unclear if the Apple Watch 2 will follow a 12 month cycle and launch in April, or land in September alongside a new iPhone. We'll keep our ears peeled for more rumours, so stay tuned.